My Top 12 Lay-Outs!!... and 2 good News!! Hola amigos blogeros!! Espero esten disfrutando estas Navidades!!! Comienzo con dos buenas noticias! Y luego les muestro mis 12 paginas favoritas! Así que es un "post" largo sigan hasta el final. Primero, Tengo el honor de ser parte del "Design Team" en "The Paper Variety" ya estoy trabajando en el primer reto así que preparense que ya mismo comienza la diversión!!!! Pasen por su blog para que conozcan el "Design Team" y al convertirse en seguidores estas participando para un sorteo que tendrán una vez completen 500 seguidores, así que espero verlos por allí...hoy me presentan pasen...! Hi my friend bloggers!!! I hope you are enjoying this Christmas!!!! I'm going to start with two good news!!! And then I will show you my 12 favorites pages! So it's a long post, please continue until the end. I hope to see you there...today they are presenting, me go there...!!! Second/Segunda - GOOD NEW/Buena Noticia...............IS....es.........???? SIII!!! Lo logre! !! Ahora seré parte del Desing Team apartir de Enero. Pueden ver el anuncio AQUI. Yess!!! I made it !! I will be part of The Design Team startingt in January. You can see the announcement HERE. Mis favoritos 12 "Lay Outs"
Junio/June 2010- Websters Pages Paper, Imaginisce and October Afternoon Papers. Agosto/August-2010 Graphic 45, Basic Grey and Bo Bunny Papers. Agosto/ August 2010 My Mind's Eye Papers and Prima vine. Agosto/ August 2010 Graphic 45 and Prima Papers and Prima vine. The Doodling Challenge/The Boxx American Craft Paper and Cardstock. Noviembre/November 2020 My Mind's Eye, Prima flowers and swirls. Noviembre/ November 2010 7gypsies, Bo Bunny and Fancy Pants Papers. Noviembre/November 2010 Websters Pages Papers. Noviembre/November 2010 Glitz, Melisa Frances and Crate Papers. Julio/July 2010 Graphic 45 Papers. Este es mi pagina favorita!!!! Julio/2010 American Crafts- Cardstock. This is my favorite page!!!! July/2010 American Crafts- Cardstock. Gracias por pasar por aqui y por seguirme durante este año, todos sus lindos comentarios significan mucho para mi y me inspiran. Les deseo un Feliz Año Nuevo lleno de Paz, Amor y mucha Salud!! Hasta el proximo año!!! Un fuerte abrazo!!! Love and lot of Good Health!! Until Next Year!!! A Big Hug!! Labels: My top 12 lay outs..
Hola amigos blogeros!!!! SIIII hice el Top 5 y esta es mi pagina para la final en "The Top Scrapper" en Scrapbook Challenges. El reto de esta semana es doble había que preparar un reto y a la vez hacer un LO de ejemplo. Pueden leer y ver mi propuesta AQUI. Hello my bloggers friends!!! YESSSSS I made the Top 5 and this is my page for "The Top Scrapper" final in Scrapbook Challenges. This week's challenge was double fold we had to prepare the actual challenge at the same time create an example LO. You can read and see my proposal HERE. Use los papeles de Webster's Pages, las bellas mariposas son de Kay chequea su etsy shop. Me encantan las flores del papel así que hice mi versión puedes ver el tutorial que prepare AQUÍ. 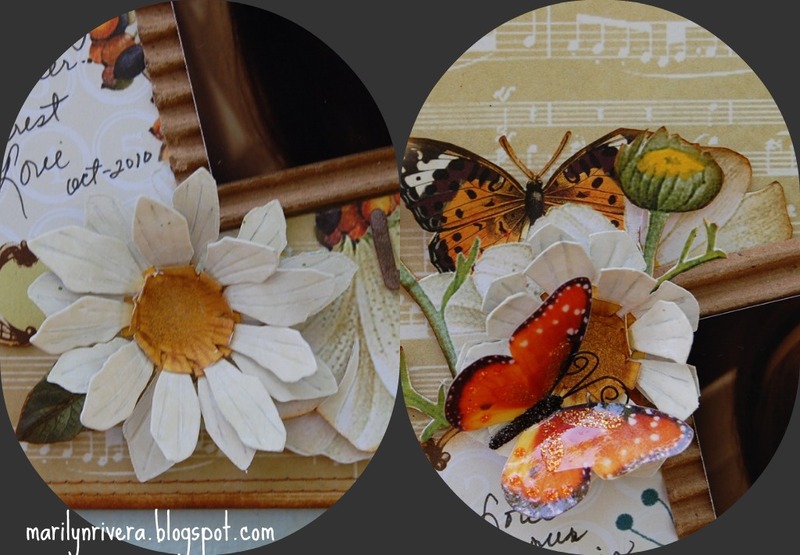 I used Webster's Pages papers, the beautiful butterflies are from Kay, check her etsy shop. I love the paper's flowers so I made my version, you can see the tutorial that I prepared HERE. Gracias por pasar por aquí y por sus lindos comentarios, son bien apreciados!! Bueno en la próxima les diré que paso en el reto. Cuidense Mucho. Thanks for stopping by and for your sweet comments, are very appreciate it!! Well until the next time, I will tell you what happens with the challenge. Take Care. Voy a mostrarles como hice estas flores. Hay muchos tutoriales con diferentes estilos para hacer flores, yo las trabajo de esta manera. I will show you how I did these flowers. There are many tutorials with different styles to make flowers, I work it in this way. Materiales: Flower Die cut(Tim Holtz-Tattered Florals)) or a flower punch, a pencil, white ink (I used CTMH- white daisy), embossing tool, embossing pad, spray bottle fill with water, heat gun. Con el "embossing tool" hacerle 3 lineas a lo largo de cada pétalo. With the embossing tool make 3 lines along each petals. Ahora pasa el lápiz suavemente en cada linea. Now gently trace the pencil along in each line. Con una esponja le pasamos pintura a cada pétalo. Now paint with a sponge each petal. Dobla cada pétalo hacia arriba, como en la foto. Fold each petal facing up, like in the picture. Rociarle un poquito de agua. Spray it with a bit of water. Dejarlo secar o usa tu heat gun. Leave it drying or use a heat gun. Con cuidado dobla los pétalos uno arriba y otro hacia abajo. Carefully fold the petals one facing up and the other facing down. A la flor amarilla cortar los petalos dejando 1/4 pulgada(ver foto). Cut the petals off the yellow flower leaving 1/4 of an inch(see picture). Usa el "embossing tool" y traza linea alrededor. Use the embossing tool and trace lines around. Now gently trace the pencil along each line. Coloca una flor encima de la otra con un 3-dot. Put one of the flowers on top of the other with a 3-dot. Entonces le ponemos el centro de la flor. With now put the center of the flower. Y ya tenemos nuestras flores. Espero les halla gustado, Gracias por pasar por aquí! We now have our flowers. I hope you have enjoy, Thanks for stopping by!! Hola!! Espero se encuentren bien!!! Hice esta pagina para el "Big Sketch Challenge #2" de My Creative Scrapbook. El "sketch" es bastante sencillo así que use los papeles de Webster Pages que recorte para darle dimensión a la pagina. Hello!!! I hope you are well!! I made this page for "The Big Sketch Challenge #2" from My Creative Scrapbook. The sketch is pretty simple so I used Webster's Page Papers and cut it to give dimension to the page. Use este LO para dos retos y en ambos fue selecionada. Esta vez fue en The Paper Variety. I used this LO for two challenge and in both of them was Featured LO. This time was in The Paper Variety. 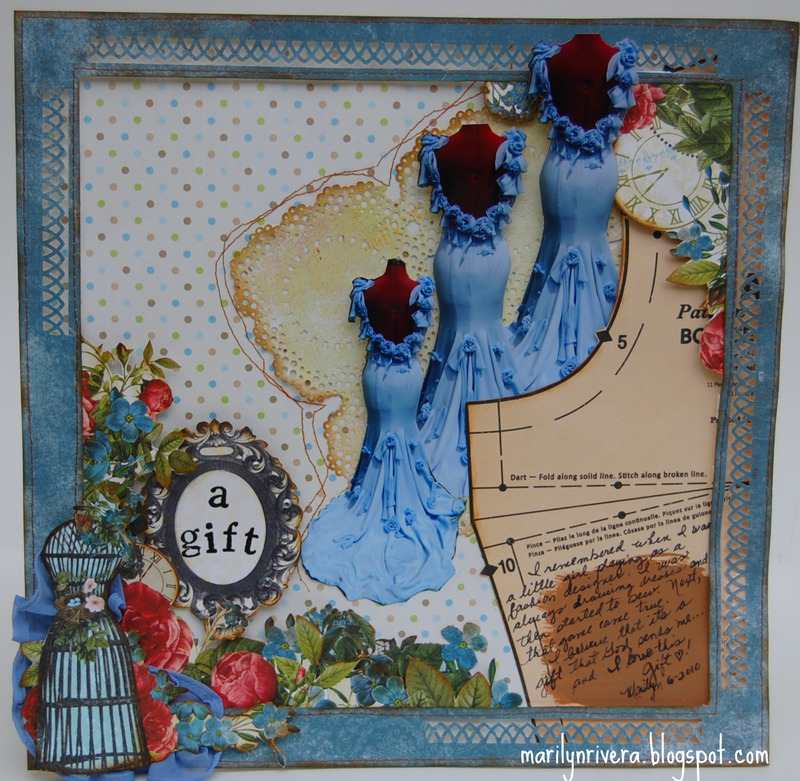 Mi pagina fue seleccionada esta semana Featured LO en The Scrapbook challenges. Gracias por pasar por aquí y por sus lindos comentarios!! Small things with GREAT LOVE. Hola mis amigos blogeros!!! Esta pagina es para The Scrapbook Challenges- SCNTS-Week 3, eso quiere decir que fui seleccionada en el Top 10...YESSSS!!!! Pase a la tercera semana y este reto fue un poco fuerte consiste en hacer una pagina de tu día....las pequeñas cosas que hacemos en nuestro diario vivir y tiene algunas restricciones como.... usar un papel neutral, usar mínimo 3 fotos, usar pintura y el journal. Ahora esta semana escogen solo a 5 de las 10 que somos, y esas 5 pasan al próximo reto....Uuyyy Necesito Suerte!! made the Top 10...YEESSS!!! 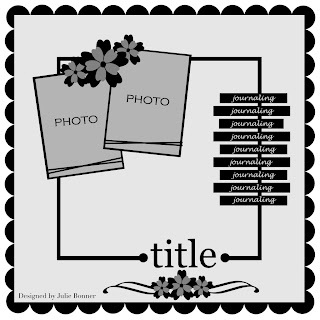 I passed to the third week and this was a hard challenge that is about making a page about today...the little things we do in our daily life and has some restrictions like....A neutral colored background, A minimum of 3 photos, use paint or ink and the journal. Now this week they are going to pick only 5 out of 10 of us, and those 5 go to next challenge....Uuuyyy I need Good Luck!! Este es mi titulo y la cita(Madre Teresa) que me inspiro para hacer esta pagina. This is my tittle and the Quote(Mother Teresa) that inspired me to made this page..
Journal: 1- Today and everyday I wake up at 6:15 A.M. I drive my kids to school, then I pick up at noon and take them to the art classes and the other activities. 2- I enjoy a good cup of coffee at the same time I read my newspaper, check my blog and my friends blogs. Then I prepare to work. 3-I work for like 7 to 8 hours designing and making dresses. I make dinner, then wash the dishes and prepare everything for the next day. ....Y unos Grandiosos Amigos Blogeros que siempre pasan por aquí y me dejan lindos comentarios...Que mas puedo pedir??? Muchas Gracias!!! ......And a GREAT BLOGGERS FRIENDS!! that always stopping by and leaved me Lovely Comments!! What more can I ask?? ?...A lot of Thanks!! 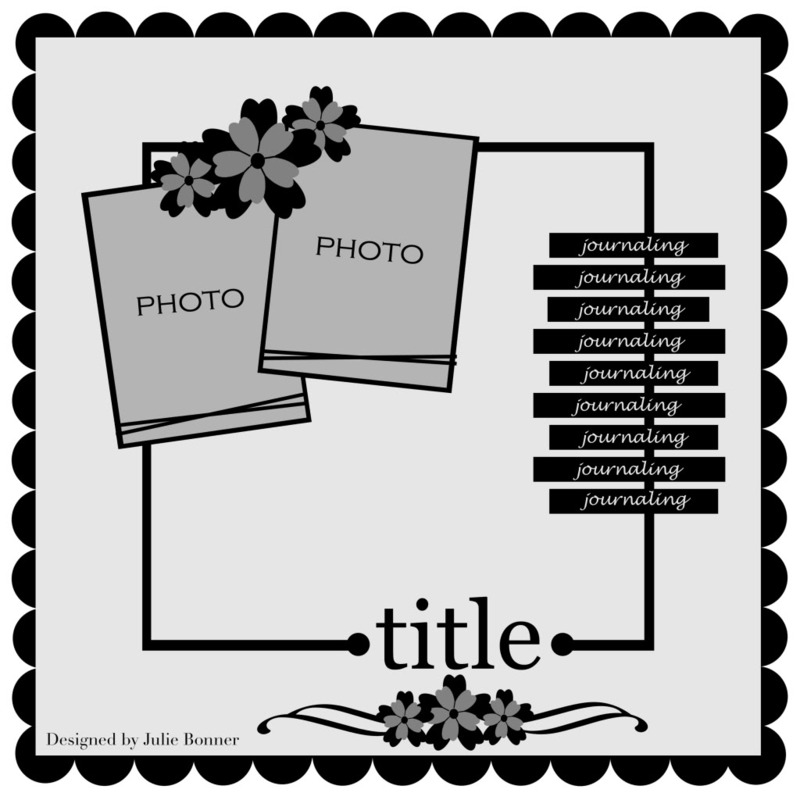 Mi pagina Your Funny Faces was Featured Layout this week in The Scrapbook Challenge! 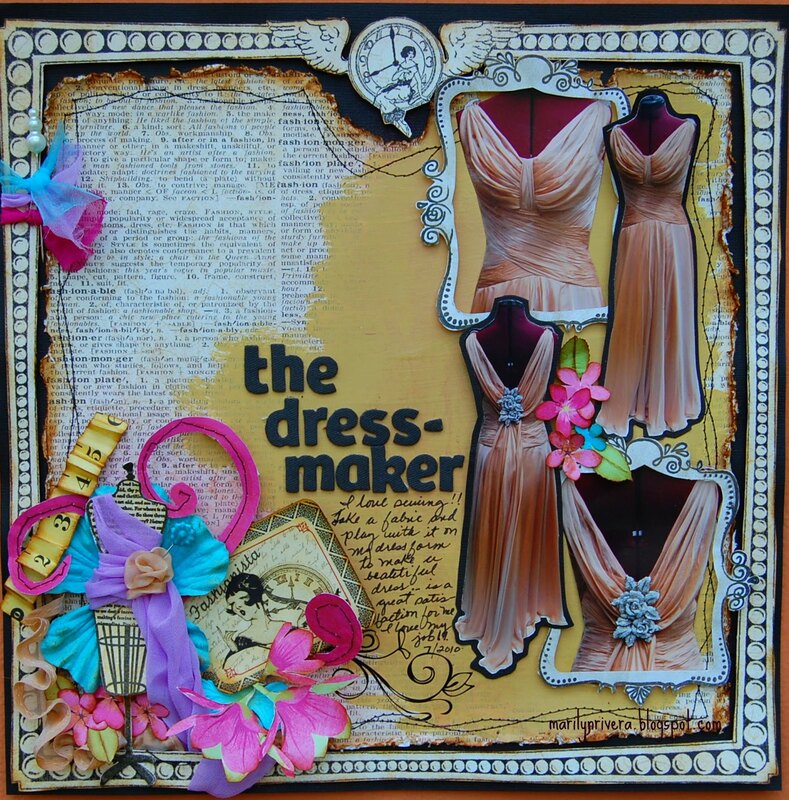 My page Your Funny Faces was Featured Layout this week in the Scrapbook Challenge! Hasta la proxima, Cuidense Mucho. Until the next, Take Care.